Engine Four stroke, 60°V8 cylinder, DOHC, 4 valve per cylinder. Nemesis – it’s a name worthy of a super-villain with strange, evil powers, in a mega-budget Hollywood production. 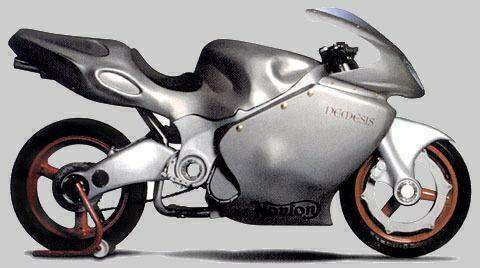 And when it was unveiled in April 1998, at the Dorchester Hotel in London, the Norton Nemesis sure looked like it was suitably equipped to completely crush any other high-performance motorcycle ever built anywhere in the world. World dominance? Bring it on! 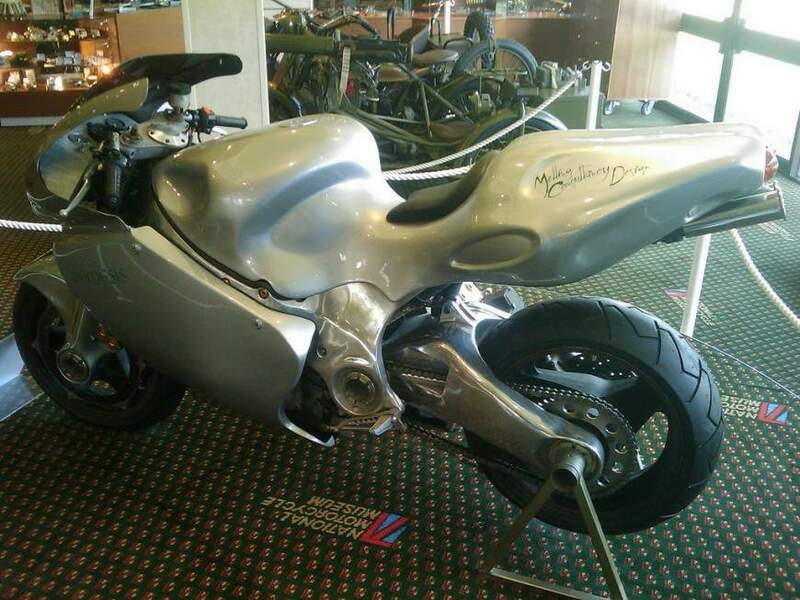 Take a look at Norton’s it-was-never-meant-to-be superbike – a 1.5-litre V8 engine with three sparkplugs per cylinder and a power output of 235bhp, a push-button system for shifting gears, magnesium wheels, swingarm and other components, wheel rim-mounted disc brakes at the front, F1-style active suspension, rear-view cameras instead of regular rear-view mirrors, a kerb weight of 217 kilos and an estimated top speed of 360km/h. All of this in a bike that would – if it ever went beyond the prototype stage – carry a price tag of about £32,000. 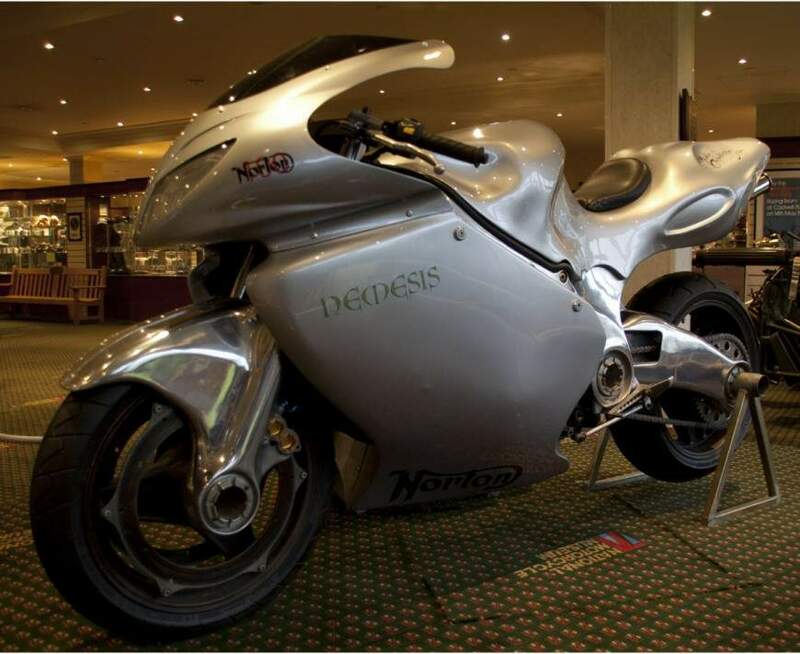 The Norton Nemesis was engineered by one Al Melling for the Canadian Aquilini Investment Group, who owned what was then called Norton Motorcycles International. 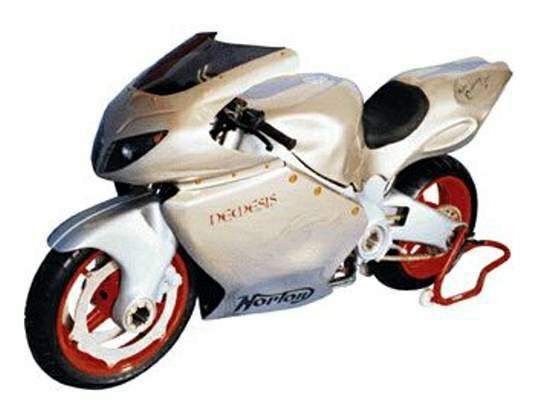 The intention was to build the world’s fastest production motorcycle – a title which belonged to the Suzuki Hayabusa at that time. Today, more than a decade later, some things have changed, some haven’t.